Haifa is often referred to as the model of “co-existence” in Israel. 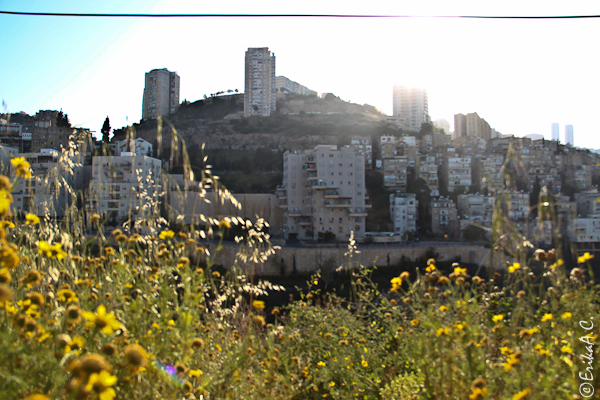 The city has the highest population of Palestinian citizens in an urban area, at 10% of the city's residents. The other 90% of the city's population is Jewish, with more than 25% of that population from the Soviet Union. While it is true that clashes between Arab and Jewish citizens have been limited, these two communities are not living in any sense of equality. Arabs and Jews in Haifa live in separate neighborhoods, go to separate schools and even frequent separate restaurants. Just a quick trip from the wealthy, predominately Jewish areas in the north of Haifa's Carmel mountain to the poor, predominately Palestinian areas in the south of the mountain (i.e. Wadi Nisnas and Halisa) gives evidence to the neglect that Arab residents face in terms of municipality resources. Similarly to other areas we've explored in Israel, the Arab community is solely in danger of house demolitions due to inadequate distribution of building permits and inadequate neighborhood planning, while the Jewish community lives comfortably and continues to grow each year without such problems. 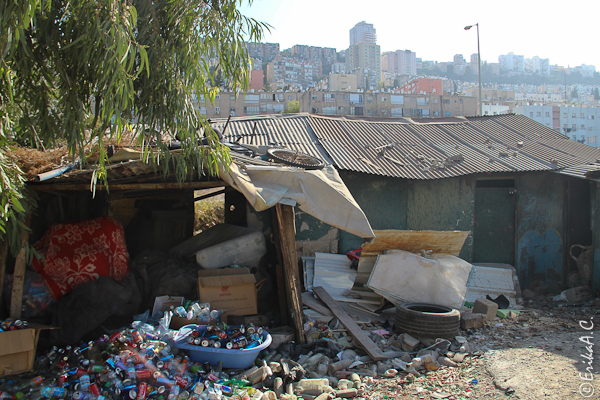 Our story in Haifa comes from the Abu Shukar family living on Bar Yehuda street in Haifa. Their extended family had been living in a house on this street for over 70 years. After being denied a building permit and after enduring many court cases, the Haifa municipality decided to demolish the Bushkar home in 2005, against the will of the family, many activists and Arab members of Knesset. 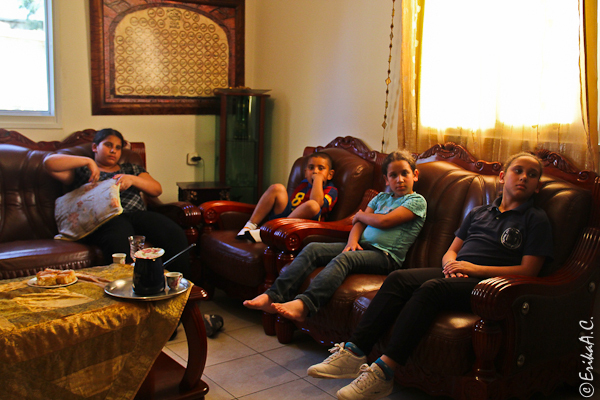 We sat down and spoke to Narjis Abu Shukar, a cousin of Mariam and Basim Abu Shukar, residents of the contested house. She witnessed first-hand the demolition and was injured by the police while resisting the operation. Please listen and/or read her testimony below. It was a very difficult day; they came early, at 7 in the morning maybe, 6 in the morning… The members of Knesset were gathered here. There was not a big gathering at that time because it was still early. There were not many people during the demolition. Only the members of the Knesset were there, and the lawyer, Walid Khamis, a member in the municipality.